Donald G. Walsh, Jr. has extensive experience in litigation of personal injury liability actions for both plaintiff and defense encompassing district court jury trials, superior court jury trials, uninsured motorist arbitrations and court side trials. He has represented victims of clergy abuse , and sexual abuse. He has also helped individuals receive compensation for injuries sustained in motorcycle accidents, car accidents, truck accidents, boating accidents, slip and falls, medical malpractice, and workers compensation. Mr. Walsh also practices in the area of insurance defense. 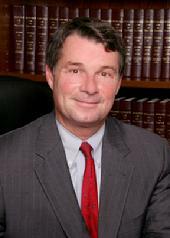 Mr. Walsh is an arbitrator in Connecticut Superior Court and has been appointed Special Master in U.S. District Court. Mr. Walsh has been a panelist and speaker at Continuing Legal Education courses for the Connecticut Trial Lawyers, Connecticut Bar Association and New Haven County Bar Association.